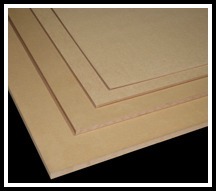 From Cabinets to Boats to Shop Use, Crosscut Hardwoods has the plywood you need. 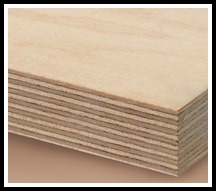 ​Hardwood Plywood is a great alternative to solid lumber. 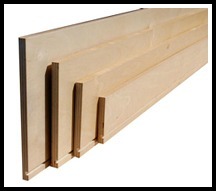 With sheet sizes averaging 4’x8’ it makes furniture making much easier without the need for joiners and planers to mill rough lumber down. A lot easier than gluing pieces of lumber together to make wider width material. 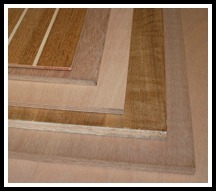 Most people think that wooden furniture and cabinetry is being constructed out of solid lumber. If you wish to build a 2’ x 5’ desk out of one solid piece of cherry today, you would require at least a 2’ wide slab of lumber. A piece that size would have been easier to come by 100 years ago, from old growth forests. The new growth of today yields much narrower boards which would need to be joined together to create the desktop and side panels. 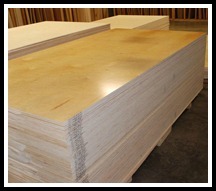 If you can mill lumber and need hardwood lumber please click here.